Never hide the truth about your dog's aggression. Failing to disclose your dog's aggressive tendencies may cause someone to be hurt or even killed. Never even consider abandoning your dog anywhere. Dogs are no longer wild animals, and they depend on humans for their care. Their chances of survival on their own are very low. Besides, abandoning an animal is illegal and will result in jail time and fines. Be wary of people who are too willing to take your dog. They may want it for dog fighting or a research lab. If you decide to keep your dog, you must seriously commit to managing its aggression. This may mean that you must keep your dog muzzled some or most of the time. At times, man's best friend turns out to be not so friendly. Owning an aggressive dog can be a big liability, and getting rid of one is often easier said than done, since there are many issues to consider. Finding someone else to take your dog may be a good solution as long as its new owners understand that they will have to deal with the animal's aggression. Putting your dog to sleep may seem humane but is a pretty drastic solution. There are other solutions to consider before you make a final decision about your dog. Your first step should be to take your dog to your veterinarian. Your vet may discover that your dog's aggressive behavior is caused by a medical condition, such as severe pain, hypothyroidism or a brain tumor. Consult with a dog behaviorist. After ruling out any medical, congenital or hereditary conditions, a dog behaviorist can assess the situation and tell you whether your dog's behavior can be changed with behavior modification. 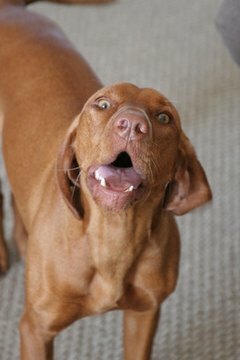 Assess what type of aggression your dog suffers. For example, if your dog is aggressive only towards small children or other animals, it may do perfectly well with a family of only adults or a family without other animals. Surrender your dog to a no-kill shelter if you do not want it to be euthanized. Call or visit the rescue groups, animal sanctuaries and shelters in your area to find out if they are willing to rehabilitate or take care of your dog. 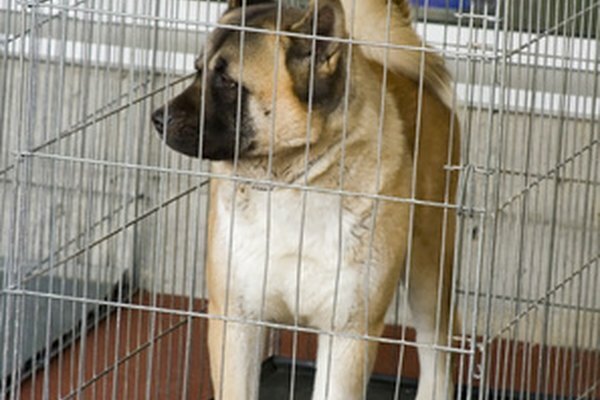 Some shelters are willing to take dogs with a history of aggression or biting. Be aware that surrendering your dog to a shelter without a no-kill policy will likely result in your dog's being euthanized. Make safety your top priority while you are investigating your options. Keep your dog leashed and muzzled when you are around other people or animals. Keep it safely crated when you have guests in your home. Law Info: Is it Illegal to Abandon My Dog or Cat?